FX may not have the pedigreed history of HBO or the deep pockets of Netflix, but it is carving out a niche for itself as a bespoke basic cable channel willing to take chances on edgy, often experimental shows that cultivate devout followings. With a roster that includes It's Always Sunny in Philadelphia, Fargo, and American Horror Story, FX has been steadily building momentum, but in 2016 the company truly came into its own. At that year's Emmy Awards, FX took home 18 wins for critically acclaimed shows such as The Americans and Baskets. Meanwhile, The People vs. O.J. Simpson: American Crime Story, stole the night, winning nine statuettes, second only to Game of Thrones. The Ryan Murphy-produced series averaged 7.5 million viewers during the first two months of its run, and once VOD and streaming were calculated in, it clocked in just under 13 million viewers, making it the most-watched first season in FX's history and the No. 2 scripted series on cable in 2016 after The Walking Dead. While Netflix launches a new series every week, FX and its younger-skewing sibling FXX place more calculated bets and then go all-out to support projects with creative feedback and a small but powerful marketing department that has been named PromaxBDA's In-House Marketing Team of the Year for five consecutive years. Going forward, FX is making an effort to diversify its mostly white-male lineup with shows such as Pamela Adlon's Better Things and Donald Glover's critically acclaimed Atlanta, both of which launched in 2016. After devoting their time to five seasons of “Episodes,” David Crane and Jeffrey Klarik are ready to find their new place in TV’s ever-expanding landscape. How brilliantly managed chaos sparks success inside Nike, Box, Cisco, Foursquare, Intuit, and more. 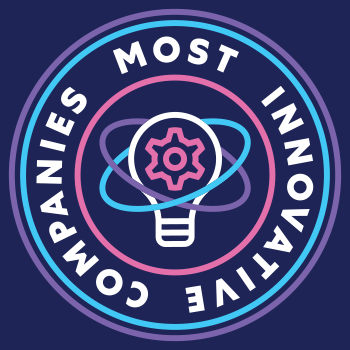 It was a year of IPOs, product launches, breakthroughs, and, yes, notable missteps for the class of 2011’s Most Innovative Companies.